Long Island City, NY (August 28th, 2010) – Sirona Dental Systems (Nasdaq: SIRO) announced the availability of new VITABLOCS RealLife at the CEREC 25th Anniversary Celebration, a milestone event celebrating the 25-year anniversary of its CEREC CAD/CAM system. VITABLOCS RealLife are the first and only all-ceramic blocks that incorporate a unique, spherically curved dentin core with a complementing enamel coat within the block. The layered structure of VITABLOCS RealLife effectively simulates the optical characteristics of natural teeth. Used in conjunction with Sirona’s new V3.80 software, VITABLOCS RealLife provide the dentist or laboratory technician with virtually unlimited options for designing anterior restorations of unsurpassed esthetic quality. With a few simple clicks of the mouse to define labial wall thickness, the V3.80 software directs the milling machine to automatically position the VITABLOCS® RealLife block on the enamel-dentin border of the block, thus reducing milling time while simultaneously achieving a perfect shade effect with the correct ratio of dentin and enamel. Only VITABLOCS RealLife have the ability to reproduce the desired shade effect in regard to translucency, chroma, and lightness. What’s more, The V3.80 software allows the dentist or lab technician to quickly and easily change the position of the restoration in the block as needed to reproduce very fine shade nuances, which can be verified on-screen before milling begins. The result is a finished, highly esthetic restoration that is ready to be seated directly upon removal from the milling machine, with no need for additional characterization, staining, or individualization steps. VITABLOCS RealLife is a registered trademark of VITA Zahnfabrik H. Rauter GmbH & Co. 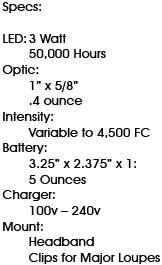 Looking for a Great Deal on a LED Auxiliary Lighting System? 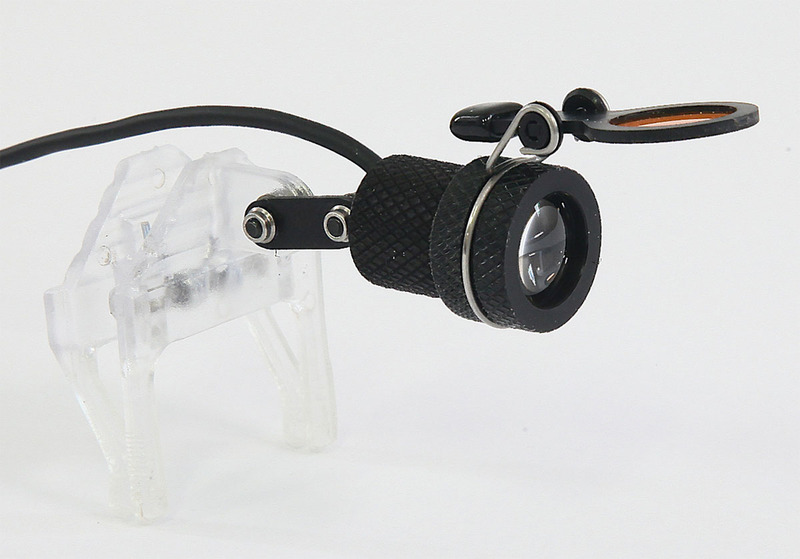 If you've been looking for a LED headlight, but have been putting off the purchasing decision due to cost, this may be just the thing you've been waiting for. I was talking with the folks at High Q Dental over the weekend and they've offered a tremendous deal for readers of the blog. The best part of this is that for a limited time, they are offering a $200 discount for readers of the blog. When you call to place the order just mention that you heard about the discount from John Flucke and the price goes from $695 to $495! That's some serious savings. The ordering area of their website can be accessed here. Enjoy! 144 Premier 2pro™Total Access Disposable Prophy Angles FREE! Malvern, PA (August 27, 2010) – DentalEZ® Group, a supplier of innovative products and services for dental health professionals worldwide, recently partnered with Premier® Dental Products Company to offer an attractive deal for its popular StarDental® Prophy Star® 3 Hygiene Handpiece and Premier’s 2pro™ Total Access Disposable Prophy Angles. Effective September 1 through December 31, 2010, dental professionals who purchase a Prophy Star 3 Hygiene Handpiece will receive 144 2pro Total Access Disposable Prophy Angles absolutely FREE! Ergonomically designed and weighing only 65 grams, the lightweight anodized aluminum design of the Prophy Star 3 reduces hand and wrist fatigue while providing superior maneuverability and a natural grip for unparalleled comfort. The Prophy Star 3, only 4” in length, provides less drag on the operator’s hand from the swivel and tubing. Moreover, the longer 360° swivel of the Prophy Star 3 is ergonomically designed for better operation and control. Premier’s 2pro Total Access Disposable Prophy Angles have a patented dual-action cup, and the tip design guarantees total access to all tooth surfaces. Its patented gearless design ensures smooth, quiet operation with near-zero freeze-ups and less heat buildup. The ergonomic 100-degree design allows easy access to all areas of the mouth. 2pro Total Access Disposable Prophy Angles are latex-free and available in four cup styles: soft/short, firm/short, soft/long, and firm/long. For more information on all StarDental promotions, call 1-866-DTE-INFO or log onto www.dentalez.com. Premier® Dental Products Company, a manufacturer and distributor of dental and hygiene products for over 95 years, offers many innovative and market-leading products such as 2pro™, Enamel Pro® Varnish, Enamel Pro® Prophy Paste, Enamel Pro® Fluoride Gel, Traxodent® - Hemodent™ Paste Retraction System, Triple Tray®, Two Striper® Diamonds and a full line of dental instruments. Premier is dedicated to providing the finest products backed by the highest level of integrity and service. Complete customer satisfaction is the company’s goal. For more information, please visit www.premusa.com. Genius makes some pretty amazing stuff at price point that is easy on the budget and hardware that performs as advertised. I love the tiny dongle on this device made for people on the go. MIAMI (August 26, 2010) â€“ Genius (www.geniusnetusa.com), a brand division of KYE Systems Corp., today announced a new addition to the companyâ€™s extensive line of mice, the Navigator 905BT mouse that connects instantly to any PC or Mac that is Bluetooth enabled. The new mouse includes Geniusâ€™ innovative â€˜Flying Scrollâ€™ technology for scrolling web pages or documents in eight directions all through the scroll wheel. The Navigator 905BTâ€™s Bluetooth EDR 2.0 gives the user a 10 meter working range and 1600 dpi resolution for accurate cursor tracking and speed. The Navigator 905BT also includes the Stick-N-Go mount that allows users to attach the mouse to a notebook or laptop, creating an ultra portable mouse. A complimentary Norton Symantec 60 day free trial is included in the CD driver to prevent the userâ€™s notebook from virus attack and firewall breach. Now available in royal ruby and cold silver, the Navigator 905BT mouse is attractively priced at MSRP USD $32.99. The new Navigator 905BT mouse starts shipping in August 2010. Interested shoppers can go to New Egg.com, Amazon.com, www.geniuseshop.com, Tiger Direct, Buy.com or for more information on the entire line of Genius products and other retailers and distributors please visit: http://www.geniusnetusa.com/. I've always been impressed with Zap lasers. The company has continually been "The Little Engine That Could". They've continually turned out good products that have competed head-to-head with much larger competitors and have managed to hold their own. A couple of years ago, they announced the "Styla Microlaser" which was the smallest diode laser on the market at DPRWorld in Las Vegas. I was lucky enough to get a chance to hold one and I was mightily impressed. I've been using a Styla since early this year and it has continued to impress. If you are looking for a diode laser, you should definitely consider it. It is highly recommended. I was impressed when Zap announced, earlier this year that they had signed a distribution agreement with Discus Dental. The idea was Discuss would agree to sell their lasers. Another part of the agreement was that Discus might purchase Zap. While things in business usually happen much more slowly than anticipated, sometimes just the opposite takes place. So today, Discus announced they now own Zap lasers. The Styla, mentioned above, is now called the NV and is still highly recommended. As a matter of fact, if you'd like some hands-on time with the device, I'll be doing a laser hands-on workshop at the CDA North Meeting in San Francisco in September. For all the info, read on for the press release. There will also be some price changes to the Zap line.That info, will be posted here on Thursday. Culver City, CA, June 28, 2010 – Today, Discus Dental® LLC announced that it has acquired ZAP Lasers LLC, based in Pleasant Hill, CA. Building upon an extremely successful sales, marketing and distribution relationship established in October 2009, Discus will now integrate ZAP’s research and development and manufacturing functions into their Southern California operations. Discus has also acquired all other company assets including ZAP’s intellectual property. This move will enable Discus to not only expand the distribution of their full line of soft tissue diode lasers into key countries such as Korea and Taiwan, but it also gives the company direct leadership of Zap’s research and development initiatives and cost reduction programs. The full line of Discus laser product offering includes the NV™ Microlaser, NV Ortho™, SoftLase Pro®, OrthoLase® and HygieneLase®. All products will be manufactured and sold under the Discus Dental brand globally. Discus will effectively assume responsibility over all laser manufacturing and distribution of Zap lasers by June 30, 2010. Over the past 10 years, Discus has developed tremendous R&D and manufacturing capabilities, particularly in the area of electro mechanical devices and other small equipment, as seen with the Insight Ultrasonic Inserts, Flashlite and Zoom. The integration of ZAP’s research and development and manufacturing with Discus’ operations is well underway and will be completed within days. Discus Dental’s 120,000 sq. ft. manufacturing facility in Ontario, CA is a fully automated, lean manufacturing operation, shipping tens of thousands of orders monthly, with a 99% on time delivery record. The facility is engaged in drug-level compounding, complete electro mechanical assembly, automated fluid and gel filling, micromachining, and regulated pharmaceutical distribution. The NV™ Microlaser has received numerous awards for its innovative design and quality including Dental Products Report “2008 Product of Distinction,” the “2009 Medical Design Excellence Award,” Dentistry Today’s Top 100 Products award for 2009 and a 4.8 rating from Dental Product Shopper, the highest rating in the laser category. Most recently, the NV™ Microlaser was recognized as “Best of Class” of 2010 by the Pride Institute. Sometimes it's the little things that make the differences. One of the things I love about my MacBook Pro is the backlight feature of the keyboard. You never know where you'll take a laptop... or a keyboard for that matter. With so much of health care being digital now, it's easy to envision the old darkened viewing area of a hospital or a dental office. Where once stood view-boxes, now stand monitors and keyboards. I've been known to spend some time reading cone beam scans in a dimly lit room to improve my ability to visualize the structures. It's just so much easier without all the ambient "light pollution" that affects my ability to discern underlying structures. So, I was delighted to see that one of my favorite peripheral companies, Logitech, has come out with a wireless keyboard that is backlit. In the darkened areas of radiographic interpretation, this device provides enough lighting to allow you to type and find the other keys you need to control your computer. Backlighting the keyboard is one of those simple, but necessary things. Once you've used it for any length of time, you'll slap yourself in the forehead and wonder how you ever got along without it. It's also a bargain for only $99. Try one, and you'll never give it back! Since yesterday's post was about an email communication I received from Lexi-Comp, I thought I would make today's post an explanation of exactly what it is that Lexi-Comp does. The video below features one of my really good friends, Brad Bolinski. He's been with Lexi-Comp for quite a while and is almost always in the booth at trade shows. That experience allows him to do a really superb job of explaining the how's & why's of the world of digital drug databases. As you watch this, however, remember that this info isn't just available online. You can also have it on almost any mobile platform including: Blackberry, iPhone, iPod Touch, iPad, Windows Mobile, and Palm (there may even be more!) So if you choose, you can have all of this info with you, no matter where you are! The video was shot as part of a segment for the Dental Entertainment Network or as we like to call it, The DEN. It's an online way to learn about the newest products and outside the box concepts that can really help change the lives of our patients. We're shooting more video all the time, so make sure to check back often. Here's the DEN segment featuring Brad & Lexi-Comp. Enjoy! One of the many things I love about Lexicomp is the fact that their information is specific to the practice of oral medicine. Whether it's their drug databases or their email updates, you can always count on the info being something you can use. When I got the latest email form Lexi I was shocked to learn about more drugs that are potentially associated with an increased risk of ONJ. Read on for the full article. Denosumab represents a new class of drugs called anti-RANKL agents that are indicated for treatment for osteoporosis. It is marketed under the brand name Prolia® and was developed by the Amgen® company. It gained Food and Drug Administration (FDA) approval for the treatment of postmenopausal women with osteoporosis at high risk for fracture. It is supplied as an injection for subcutaneous use. The labeling for denosumab (Prolia) states that osteonecrosis of the jaw (ONJ), which is generally associated with tooth extraction and/or local infection with delayed healing, has been reported in patients receiving denosumab (Prolia). A dental examination with appropriate preventive dentistry should be considered prior to treatment with denosumab (Prolia) in patients with risk factors for ONJ such as dental surgery, diagnosis of cancer, corticosteroid concomitant therapy, or pre-existing dental disease. Good oral hygiene should be maintained during drug treatment with denosumab (Prolia). Denosumab (Prolia) represents the first of its class of U.S. approvals known as anti-RANKL drugs. These agents work by decreasing bone turnover, resulting in a significant increase in bone mineral density - more on its mechanisms is described below. Prolia was developed by Amgen, and is manufactured by Amgen Manufacturing Limited, a subsidiary of Amgen Inc. In addition to the U.S., it has also gained approval for marketing in Europe and Australia. It is approved for the treatment of postmenopausal women with osteoporosis at high risk for fracture. It is supplied as an injection for subcutaneous use. Recently, denosumab (Prolia) has been granted a Food and Drug Administration (FDA) priority review designation for the reduction of skeletal related events in advanced cancer patients. Priority review designation by the FDA is granted to drugs that offer major advances in treatment or provide a treatment where no adequate therapy exists. Consistent with priority review guidelines, the FDA will target an Agency action within six months of the application submission date. The monograph for denosumab (Prolia) can be found in the Lexi-Comp database. Product labeling for denosumab (Prolia) states that osteonecrosis of the jaw (ONJ) has been reported in the osteoporosis trial program in patients treated with Prolia. That trial program has been described by Kyrgidis and Toulis (see below). It is not known, at this time, what the prevalence or incidence of ONJ is in patients receiving denosumab (Prolia). However, it is suggested that, for patients requiring invasive dental procedures and are exposed to denosumab (Prolia), clinical judgment of the treating physician and/or oral surgeon should guide the management plan of each patient based on individual benefit-risk assessment. Further, patients who are suspected of having ONJ, or who develop ONJ while exposed to denosumab (Prolia), should receive care by a dentist or an oral surgeon. In these patients, extensive dental surgery to treat ONJ may exacerbate the condition. Discontinuation of denosumab (Prolia) therapy should be considered, based on individual benefit-risk assessment. Patient counseling information provided by Amgen advises patients to maintain good oral hygiene during treatment with denosumab (Prolia) and to inform their dentist, prior to dental procedures, that they are receiving denosumab (Prolia). Patients should inform their physician or dentist if they experience persistent pain and/or slow healing of the mouth or jaw after dental surgery. These labeling statements can be found on the Amgen website at: http://pi.amgen.com/united_states/prolia/prolia_pi.pdf (accessed July 24, 2010). Kyrgidis A and Toulis KA, "Denosumab-Related Osteonecrosis of the Jaws," Osteoporos Int, DOI 10. 1007/s00198-010-1177-6. Kyrgidis and Toulis described the results of two unpublished randomized clinical trials of denosumab in cancer patients with bone metastases. The results reported that ONJ occurred as adverse effect cases reported from preliminary results of clinical trials comparing denosumab with zolendronate (a bisphosphonate) for the treatment of bone metastases in patients with cancer. In one study, 20 out of 1,026 subjects exposed to denosumab were observed to have developed ONJ and 14 out of 1,020 subjects exposed to zolendronate were observed to have developed ONJ. In terms of percent incidence, those cases accounted for 2.0% for denosumab and 1.4% for zolendronate. In the second study, 10 out of 888 subjects exposed to denosumab were observed to have developed ONJ and 11 out of 888 subjects exposed to zolendronate were observed to have developed ONJ. In terms of percent incidence, those cases accounted for 1.1% for denosumab and 1.3% for zolendronate. Because these were head-to-head trials, the incidence of ONJ in the control population was assumed to be zero. Both of these trials had current or prior intravenous or oral bisphosphonate administration in their exclusion criteria; thus, previous exposure to bisphosphonates as a factor for ONJ in those participants who received denosumab could be ruled out. And, since ONJ has not been previously described to be associated with other drugs administered to cancer patients, it can be suggested that these cases of ONJ were related to denosumab exposure. Kyrgidis and Toulis suggested that the medical community may be facing a new agent that can induce ONJ. Up to now, ONJ has never been reported to be associated with pharmaceutical agents except bisphosphonates. The association between denosumab exposure and ONJ may be related to dosing interval and cumulative doses. In studies evaluating denosumab in postmenopausal women with osteopenia or osteoporosis (Anastasilakis AD, Toulis KA, Polyzos SA, et al, "RANKL Inhibition for the Management of Patients With Benign Metabolic Bone Disorders," Expert Opin Investig Drugs 2009,18(8):1085-102), ONJ was not observed in any of the subjects exposed to denosumab. Those studies included a dosing interval longer than 3 months and a cumulative dose of not more than 210 mg per 6 months. On the other hand, the results of the two trials that described the appearance of ONJ in denosumab subjects included a monthly dosing interval and a dose of 120 mg per month. In terms of bisphosphonate related ONJ, ONJ is a much more common event in patients receiving those agents for the treatment and prevention of cancer-related skeletal events compared to patients receiving bisphosphonates for non-malignancy indications. Kyrgidis and Toulis suggest that a broad introduction of denosumab into clinical practice would allow for recognition of the denosumab-related ONJ adverse effect in a much wider spectrum of prescription indications, including those for nonmalignancy. Aghaloo TL, Felsenfeld AL, and Tetradis S, "Osteonecrosis of the Jaw in a Patient on Denosumab," J Oral Maxillofac Surg, 2010, 68(5):959-63. A 65 year old woman presented to the oral surgery clinic at the UCLA Dental School with exposed bone of unknown duration in the posterior mandible. Her history included multiple medical conditions including noninsulin-dependent diabetes, hypertension and other cardiovascular problems, and a sacral giant cell tumor (GCT). She was on multiple medications for her medical conditions, none of which had ever been associated with ONJ. The GCT was partially resected in 2005. In 2007, the patient fell and sustained an L2-L5 fracture. At that time, she was placed on 120 mg denosumab subcutaneous injections weekly for 3 weeks, followed by a 2-week hiatus, and continued with a single injection of 120 mg every 4 weeks. Approximately 2-3 years prior to the clinic visit, the patient reported a 4-month course of alendronate 70 mg per week "for bone problems." The patient's history, along with clinical and radiographic findings, was consistent with a working diagnosis of ONJ. The disease was classified as stage 2 -characterized by exposed and necrotic bone with pain and erythema, without purulent drainage. The patient was treated with antibiotics and chlorhexidine daily rinses. The patient was seen 2 and 4 weeks after the initial visit, with no change in severity of bone exposure. After 8 weeks, the patient had clinically exposed bone and the condition was diagnosed as ONJ; in this case, not associated with bisphosphonate therapy. The patient was eventually admitted to the hospital for intravenous antibiotics, incision, and drainage. After surgery, the infection subsided and the patient was discharged. The authors believed that the potent inhibition of osteoclastic acitivty by denosumab played a central role in the development of ONJ in this patient. Although the patient reported a history of alendronate use, the short treatment duration (4 months) was unlikely to have contributed to the ONJ. Denosumab inhibits osteoclastic differentiation and function. As osteoclasts are the common target of both bisphosphonates and denosumab, potent osteoclastic inhibition appeared to play a central role in the pathophysiology of ONJ. As more osteoclastic inhibitors enter clinical practice to be used in managing disease associated with increased bone turnover, the possibility that these agents might cause ONJ should be anticipated. Taylor KH, Middelfell LS, and Mizen KD, "Osteonecrosis of the Jaws Induced by Anti-RANK Ligand Therapy," Br J Oral Maxillofac Surg 2010, 48(3):221-3. A 60-year-old man was referred to an oral surgery clinic with an ulcerated area of exposed bone in the left mandible that was discharging pus. He had a history of laryngeal carcinoma that had been treated with laser surgery (no radiotherapy) and metastatic prostatic adenocarcinoma. He had never been prescribed bisphosphonate medication and he had completed a course of chemotherapy of docetaxel and prednisolone. He was currently participating in a trial for a phase 3 study of denosumab comparing it with zolendronate. The clinical and radiological features of the lesion were diagnostic of probable osteonecrosis. The patient was prescribed amoxicillin 500 mg 3 times daily for a week along with chlorhexidine mouthrinse. The phase 3 trial records indicated that the patient was on the denosumab arm of the trial, and exposure to denosumab was discontinued immediately. Subsequently, he had symptoms associated with nonvital lower left teeth numbers 1, 2, and 3. The teeth were extracted, and he was prescribed postoperative chlorhexidine mouth rinses and amoxicillin 500 mg 3 times daily. The necrotic bone sequestered 12 months later and, on review 15 months after initial presentation, the mucosa had healed and he had no symptoms. The authors believed that the patient had osteonecrosis of the jaw induced by denosumab treatment. Denosumab (Prolia) is a human monoclonal IgG2 antibody that binds selectively to RANKL, a transmembrane or soluble protein essential for the formation, function, and survival of osteoclasts, the cells responsible for bone resorption. RANKL is an acronym for Receptor Activator of Nuclear factor-KB Ligand, or receptor activator of nuclear factor kappa-light-chain-enhancer of activated B cells. Denosumab (Prolia) prevents RANKL from activating its receptor, RANK, on the surface of osteoclasts and their precursors. RANK is an acronym for Receptor Activator of Nuclear factor -KB. Prevention of the RANKL/RANK interaction inhibits osteoclastic formation, function, and survival, thereby decreasing bone resorption and increasing bone mass and strength in both cortical and trabecular bone. Thus, denosumab is classified as an anti-RANKL agent. As these agents are increasingly used for treatment of postmenopausal osteoporosis and being investigated for treatment of metastatic bone disease, it is possible that the number of cases of osteonecrosis induced by anti-RANKL treatment will increase in the future. Drug information is constantly changing. Promote medication safety in your practice with Lexi-Comp ONLINE for Dentistry. Genius makes really good products that work well and are also affordable. After all, who couldn't use more affordable tech? If you are looking for a webcam, make sure to add the eFace 2025 to your list. MIAMI (August 20, 2010)– Genius (www.geniusnetusa.com), a brand division of KYE Systems Corp., today announced a new addition to the company’s extensive line of webcams, the eFace 2025 High Definition 2.0M pixel Webcam. Genius’ new webcam is foldable, easily transportable and comes bundled with CrazyTalk Cam Suite Pro Software. The eFace 2025 Webcam features 720P HD video and takes still image captures at up to 8.0 MegaPixels. The eFace 2025 Webcam has a premium multi-layer adjustable lens that allows the user to manually control focus without any blur. Easily foldable, the eFace 2025 also has a built on universal clip to attach to a notebook, LCD monitor or standalone base. The new webcam from Genius comes bundled with CrazyTalk Cam Suite Pro software that includes features such as: Image and Video Capture with a one-click YouTube upload button, Avatar Live where users become their chosen avatar that can change facial expressions and voices, Media Desktop Share so users can share video clips, photos and live desktop activity without delay, and Monitor mode where the webcam is switched into security mode with motion detection. A full video demonstration of the CrazyTalk bundled software for Genius webcams is available here: http://www.geniusnet.com/event/webcam/. The webcam is PC (includes Windows 7) and Mac compatible and attractively priced at MSRP USD $59.99. The new Genius eFace 2025 High Definition 2.0M pixel Webcam starts shipping in August 2010. Interested shoppers can go to New Egg.com, Amazon.com, www.geniuseshop.com, Tiger Direct, Buy.com or for more information on the entire line of Genius products and other retailers and distributors please visit: http://www.geniusnetusa.com/. One of the great things about the web is the amount of free info that is available and can really help you make a difference in your life. One of those little things that can help make a difference is The Daily Plate from Lance Armstrong's Livestrong Foundation. The Daily Plate is a way to track your calorie intake/food consumption and factor in your exercise to help you reach your weight loss goal. All you have to do is begin typing in what you consume and the site will look up the type of food, enter amount consumed, and then the calories are added to your daily and weekly totals. You can also track water intake, etc. You can also enter the type of exercise, duration, etc and it will show the amount of calories burned. By setting up an account you can tell it your goals and it will help you figure out how best to achieve them. If you'd prefer to do this from your iPhone, iPod Touch, or iPad... there's an app for that courtesy of Livestrong. MIAMI (August 13, 2010)– Genius (www.geniusnetusa.com), a brand division of KYE Systems Corp., today announced new additions to the company’s extensive line of digital tablets, the MousePen M508 and MousePen M508W, for graphic designers and artists. The new tablets are Genius’ first to come combined with advanced wireless capabilities. The MousePenM508 and MousePen M508W both come with extensive multimedia functions that make creativity a breeze. Both tablets come combined with high resolution (4,000 LPI)to make these new multimedia tablets the ultimate canvas for serious designers. The MousePen M508 stands out for its unique creative touch-pad that scrolls, zooms in and out, and has brush control functions. The new 5” x 8” MousePen tablets include; Photoshop CS4 Extended for Windows, 13 programmable keys, four express keys, a wireless Bluetooth mouse and a cordless pen with 1024-level pressure sensitivity for all shapes and thickness control. The new MousePen tablets are compatible with Windows 7, PC’s and Macs. The new tablets are MSRP USD $149 (MousePen M508) and $199 (MousePen M508W) and start shipping in September 2010. Interested shoppers can go to New Egg.com,Amazon.com, www.geniuseshop.com, Tiger Direct, Buy.com or for more information on the entire line of Genius products and other retailers and distributors please visit:http://www.geniusnetusa.com/. If you're an online shopper, this is news for you. Take a look at the partnership that has just been announced between GSK and Darby Dental. Jericho, NY (August 13, 2010) – Darby Dental Supply, LLC, the largest all-telesales distributor of dental merchandise and small equipment, recently expanded its extensive product offering by adding a wide selection of GlaxoSmithKline (GSK) oral care products. Under a newly-signed distribution agreement with GlaxoSmithKline, Darby is now an authorized distributor of GlaxoSmithKline’s full line of Sensodyne® and Sensodyne® ProNamel™ toothpastes; Biotène® hygiene and relief moisturization products; Aquafresh® toothpastes, Aquafresh® Direct® toothbrushes, and Aquafresh® White Trays®; Polident® tablets and Dentu-Crème®; Super Poligrip® denture adhesive pastes, powders, and comfort seal strips; and Abreva® On the Go cold sore treatment cream. The GlaxoSmithKline agreement is the latest development in Darby’s aggressive product line expansion initiative. In April of this year, Darby expanded its offerings with KaVo® handpieces and small equipment. That same month, Darby became an authorized seller of KODAK Digital Imaging Systems products. In September of 2009, Darby became an authorized national distributor for DCI Equipment™’s chairs, stools, lights and delivery systems, as well as Pelton & Crane® subsidiary, Delta Q™ Sterilizers. distributor of dental merchandise and small equipment to office-based practitioners in the United States. Through strategic distribution points, the company fulfills over one million shipments per year from leading manufacturers of dental products. Darby is equally committed to providing in-depth training to its telesales reps and superior value to the dental professional. Darby’s efficient business model, competitive pricing, and convenient ordering system continuously save its customers time and money. Honoring a “one customer at a time” philosophy for more than six decades has established Darby Dental Supply as one of the largest, most trusted dental distributors in the nation. For more information, visit www.DarbyDentalSupply.com. A couple of years ago, Chrysler began offering a dealer installed option of a hardwired mobile hotspot that could bring the net to you & you passengers. Going that idea one better, Audi is now offering a similar option that comes factory installed. Audi's system will allow up to 8 devices to connect simultaneously via Wifi or Bluetooth. No word yet on cost, but the Chrysler system was around $500. My question is this: Why would I want this when my Sprint Overdrive can do the same thing in or out of my car right now? With so many devices now becoming mobile hotspots (like the HTC Evo and others) this seems like an idea that would have been groundbreaking 2 years ago, but is now a product many won't want or need. Consider that I'm blogging this using the Overdrive from a hotel room, not my car. This is a cool idea, but as long as it's hardwired to the vehicle, I'll keep my current solution. A few posts ago, I blogged about a security issue in the latest iOS update that put users at risk due to a way for unscrupulous types to hijack an Apple device. This was due to an issue with the way pdf documents were handled. This security flaw/vulnerability had been noticed by Symantec and when they went public with the info, there was quite a brouhaha over it. So today, Apple is beginning the roll out on the fix. This 457mb patch (a 457mb patch?) for iPad and 328mb for iPod/iPhone appears to be just a fix for the pdf problem. As always make sure you backup, etc. before performing the update. Mine is downloading & installing as I type this. Thank goodness for broadband. I can't even begin to imagine what I'd do without my speedy cable modem connection. If you're in an area with slow download speeds, I'll talk to you next week. Curve Dental Says: Patient Education Just Wants to Be Free! I can still remember in 1999, being asked by a friend to take a look at a patient education software product he was working on. At the time it was called Communident, and it was pretty rough. Of course, back in 1999 almost all digital video left something to be desired. This little company morphed over the years into a company called Orasphere. Orasphere was a serious program with serious CGI graphics. Now with the computing power to really make it work, this software "designed by a dentist" really had the shine! The first time I saw it, I was completely blown away. The company continued to grow until about 2-3 years ago when it was purchased and merged into Curve Dental. I knew the "fresh web based alternative to dental software" company had something great on its hands. What I didn't realize was what they would do with it. Anyway, now it can be told! The amazing patient education software is now available and it really is free!!! Take a look at the Curve Patient Education website and sign up for totally free access to some of the best education software I've ever seen. Since Curve is web based, all you need to access this great content is a computer with a web browser and an Internet connection. It's just that simple and just that FREE! What are you waiting for? I blogged about Vibram last year, but I think it bears repeating especially for such a great product. I was at a meeting last year and happened to have a little time to lounge by the pool. There was a person there wearing a pair and I had to find out what they were. When I got back to KC I located a store that sold them a bought a pair, in black of course. I was amazed at the comfort. Sure they look a little strange and they are a bit harder to get on than normal shoes, but once they are on your feet, you won't believe how good they feel. They have a new lineup for 2011, that includes some sizes for kids and a huge selection of colors. As you know, my second job (the one that doesn't involve direct patient contact), is Technology Editor of Dental Products Report magazine. This is the job that allows me to write, lecture, tinker, break stuff, and on occasion become one of the "Mythbuster's" of dentistry. I love my job with DPR and all that comes with it. Today I'll be having some meetings with my Editor in Chief, Thais Carter. She's flying in from the home office in Chicago to spend most of the day in my office. We'll be discussing upcoming projects and other cool stuff. Some of it you may get to see here on the blog before you see it anywhere else. Once our meeting is over tomorrow, I'll try and get back to you with some of the things I'll be doing in the next year. I'm sure some of it will be confidential, but the things I can let you know now... I'll let you know! A Possible Verizon iPhone in the Winter... Could this Mean a Possible Sprint iPhone as Well? I came across this really great post about supply chain analysis and why it may mean that a Verizon version of the iPhone is on the not too distant horizon. This week, Google announced they were going to end development of the product they launched last year called 'Google Wave'. It was supposed to be a web based product that was deigned to help and provide for realtime and/or online collaboration. Unfortunately what it provided was mass confusion about how it worked and what users were really supposed to do with it. I was one of the lucky ones that got a beta invitation early on and I had a chance to share it with my friends Paul Feuerstein & Marty Jablow. Since we sometimes lecture together, we thought that having access to an online collaboration site might save us time and effort in developing our mutual programs. Unfortunately what we discovered was that we couldn't figure out how to make it work even though the first time we tried it we were in the same room together. Despite our best efforts, we just couldn't figure out a way for Wave to make our collaborative efforts easier. And with the announcement this week, it appears that we weren't the only ones. I've got to give the creative minds at Google credit. Not only are they smart enough to know a good thing when they see it, they are also not afraid to pull the plug on something when they can tell it's not working. This gives me as a user of Google products more confidence to know that in most instances they won't consider continuing to support a product that is held in place by its limitations. Questions abound & with this post, I'm looking for someone who can help solve these problems. Truth be known, these aren't really difficult problems to solve, they just require a desire to do so... And put solving the problems ahead of profits or pressure from investors. I've said it before, but it bears repeating. We're now in the 3rd phase of digital dentistry. The first phase was the imaging phase where we started taking pictures and radiographs of our patients digitally. The second phase was the software phase where Programs allowed us to take the images from phase one and store them in a dental database along with all kinds of other dental data. The third phase is the 3D phase. The 3D phase encompasses cone beam, digital impression systems, digital 3D treatment planning, and other types of 3D clinical information. Unfortunately what we've done is now created a need for another software phase to tie all of this new data together. In the past couple of years I've integrated the Gendex CB-500 and the Cadent iTero into my practice. That means I now have data from 2 other sources that I need to backup outside of my Eaglesoft data. It also means I need other programs to open, read, and work with this data. We've come full circle again with not enough efficiency in containing our data. Now information is like water and software is the bucket. The water is always going to overflow the bucket as long as the water continues to flow. What we need right now is a bigger bucket... one that can deal with all the data. We need a way to manage this and it's up to some bright software minds to solve the problem. When I read about this, my blood ran cold... Mainly because I've been a big user of my iPad and at this point can't really imagine being as productive without it. Also, although I don't have/use an iPhone, I do have an iPod Touch using the iOS4 package. It seems that Symantec has figured out a way that nefarious programmers could infiltrate the OS of these devices & take them over or 'brick' them (which basically means wiping them clean & rendering them unusable). This has to do with the way the Safari browser handles PDF files. It seems that currently when Safari encounters. PDF file, it opens it by default. This *could* allow an unscrupulous individual to insert some code that would run but is disguised as a PDF. This type of attack has been used before, but not to my knowledge on an Apple device. So far no word from Apple on fixes or if the vulnerability truly exists. While this would be a serious pain if it happened to my iPad, this type of attack could be devastating if it begins happening to iPhones, which peop,e are much more dependent on. If I hear of any confirmations or fixes, I'll let you know. Some people will tell you I'm a control freak when it comes to the subject of backing up my data... and they'd be right. I'd even get a twinge of pride hearing them say that. After all, it's *your* data and the importance of it cannot be stressed enough. One of the things I try to do, both in my writing and in my speaking, is to share stories and questions I get from other folks working in the trenches just like you and I. Today I got an interesting and somewhat tragic one. Today's email came from a doctor who was on vacation, but had admin staff in the office to process payments, call on outstanding insurance claims, schedule appointments, and basically do all the things that needed to be done/caught up on. Because accounting was being done and appointments were being made, the doctor felt that it was a good idea to have the practice operating system backed up in order to make sure these changes would be preserved in the case of a catastrophic data loss. 1. Never delegate the mission critical task of backing up your office data unless you truly have no other choice. No one cares for your business or your data like the business owner. I know lots of doctors that delegate this mission critical task to a team member on a daily basis, but that goes against my whole philosophy of data management. You should always know where your backup is. If you cannot get to it, it cannot help you. In the case above, the doctor didn't have much choice, but I can fix the problem with point #2 below. 2. 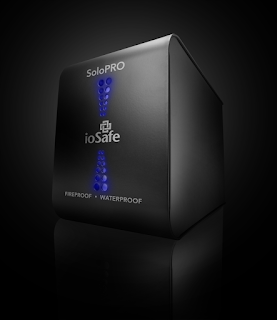 As part of your backup strategy, you should be using the ioSafe. This device can be left In your office, connected to your server and is heatproof and waterproof. This means that the backup can be done and the backup can be left in the office. Now I don't normally recommend this as the only backup when the doctor is In town and all is running normally but in this instance, it would have been acceptable. The backup could have been run by the team member or the doctor could have logged in remotely after hours and run it. Either way this would have kept the backup drive out of the hands of the employee who eventually somehow lost it in their trash. Normally I consider the ioSafe as one more link in the data security chain that also includes portable USB hard drives among other things. So please get an ioSafe and take your backup offsite with you. Get your data security plan on paper and follow it. Eventually you'll need that plan and you'll be glad you have it.